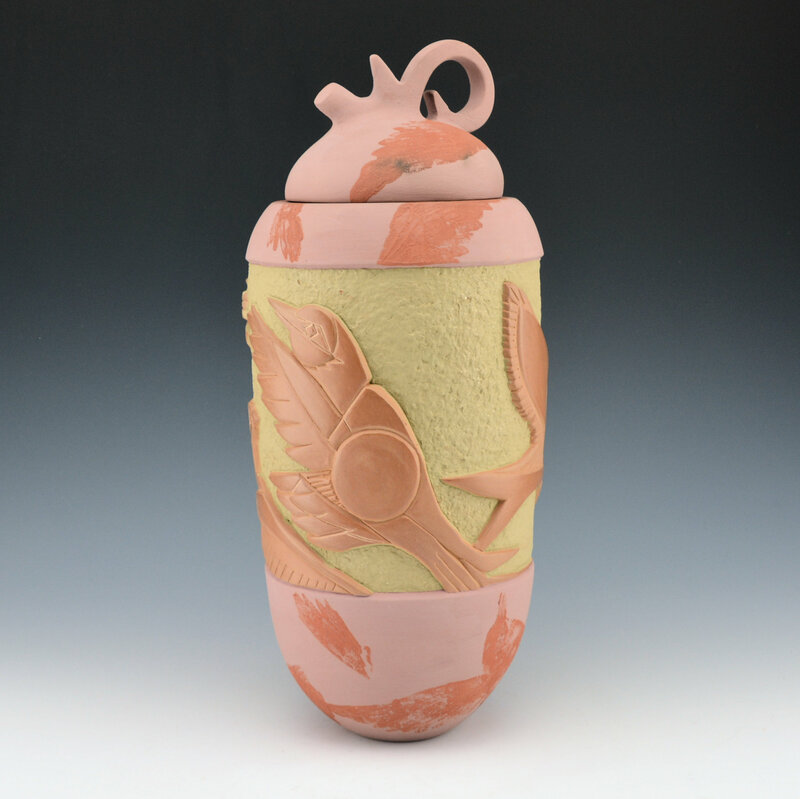 Susan Folwell combines classic imagery with her own contemporary style of shape and design. 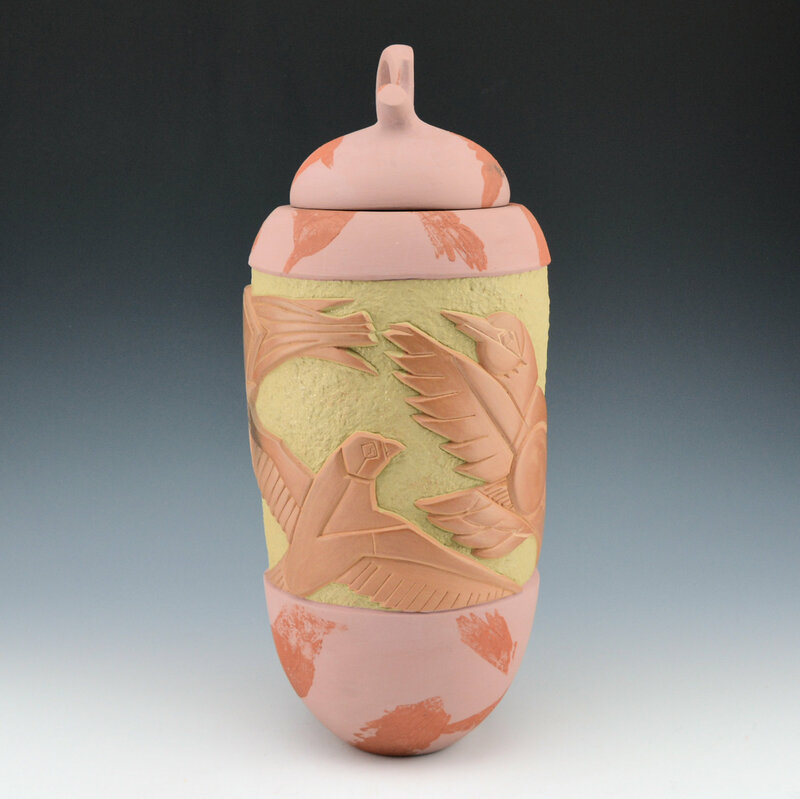 This tall jar has carved birds in the center of the design. They are polished tan and the bodies of the birds are carved at various levels, giving them a very distinctive appearance. The color variation on the wings is from the traditional firing. 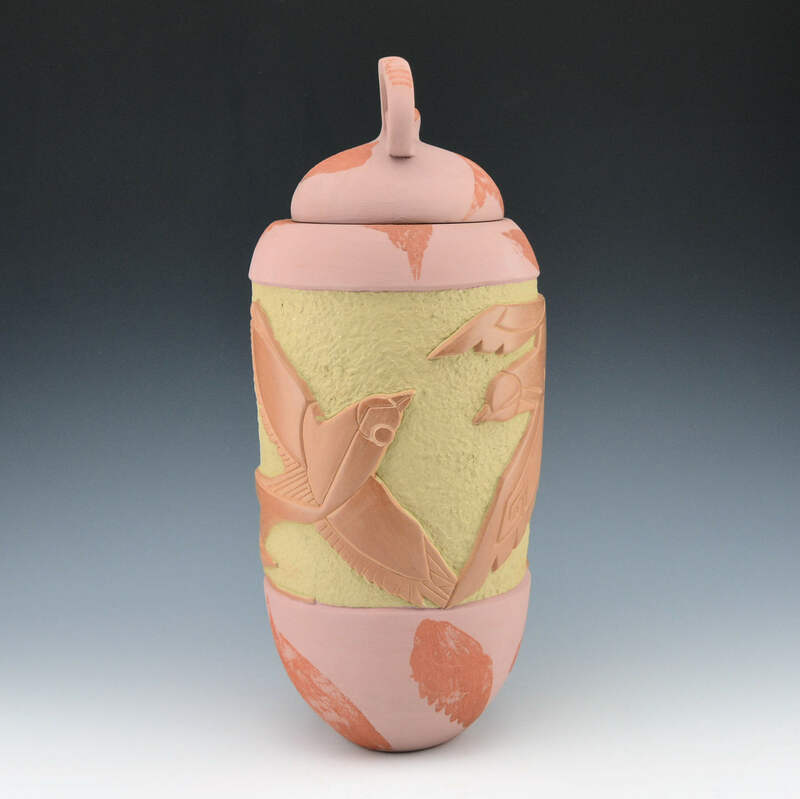 The jar itself is slipped with a pinkish colored clay and there are additional birds painted onto the surface. 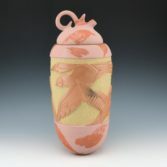 The lid sits on the top of the jar and its shape is meant to evoke the classic Hopi style bird. 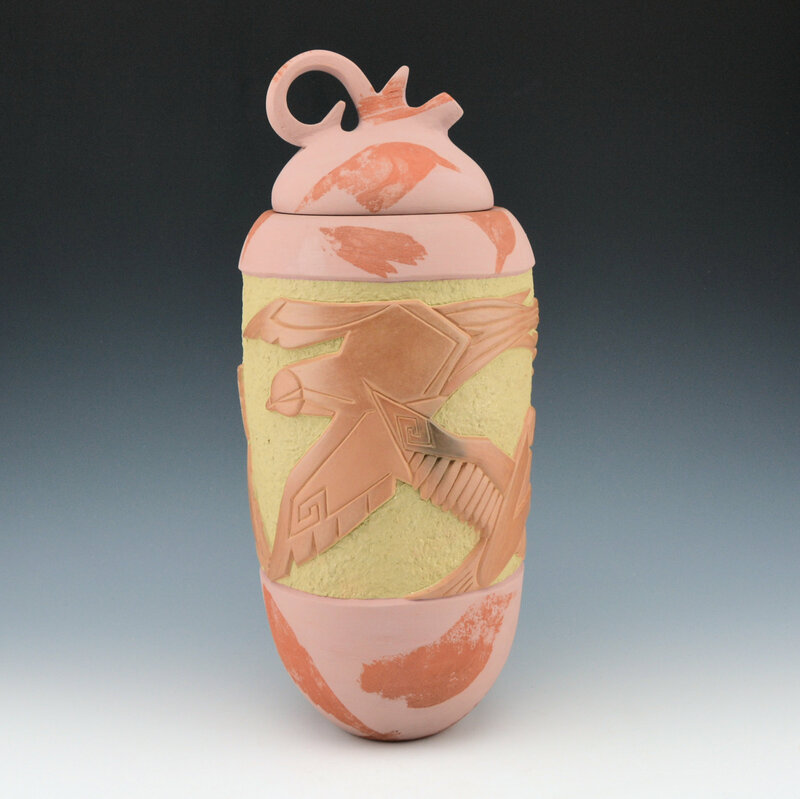 The various colors and use of the matte and polished surfaces works perfectly on this piece. 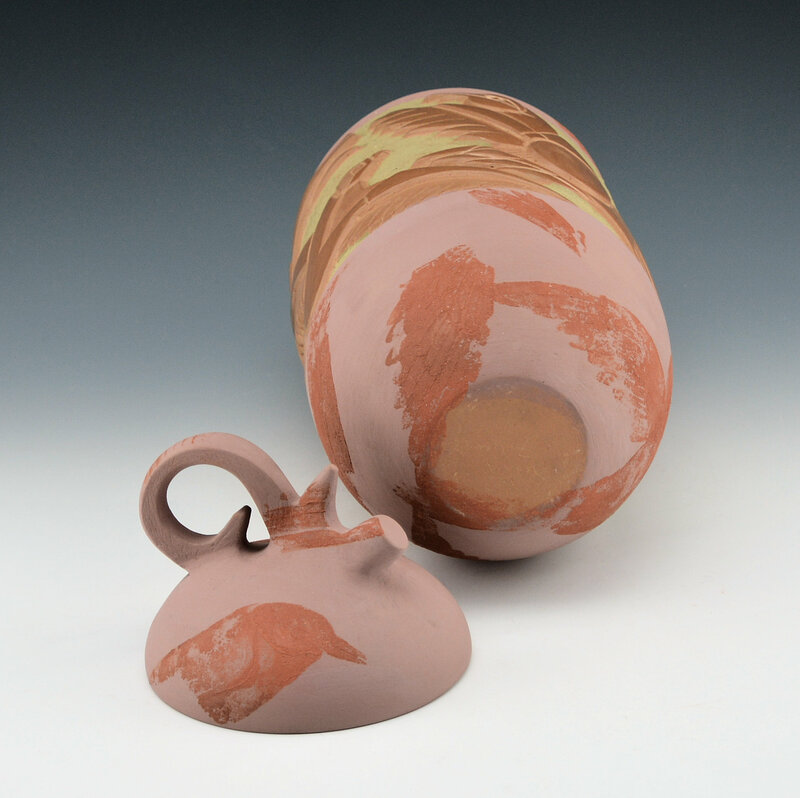 Susan’s pottery is meant to not only connect with us visually, but also with touch and meant to make us think.